The skate world still pays respect to Miles. 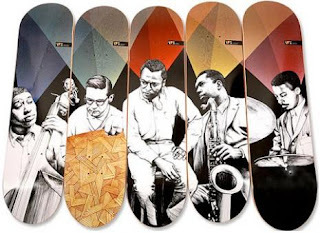 After Maple Skateboards and the video “7 steps to heaven” (1997), where 7 skaters each featured skating for 7 minutes landing 7 tricks in succession at a time, it is now a series of 7 decks designed by Ian Johnson for Western Edition, that are commemorating the 50th anniversary of the formation of the Miles Davis Quintet: Bassist Paul Chambers, pianist Bill Evans, John Coltrane on sax, Jimmy Cobb on drums, and Miles himself on trumpet. The boards are signature decks for Yoshiaki Toeda, Nikhil Thayer, John Igei, Jovante Turner, and Brad Johnson. If you don’t know Miles, you are missing something. 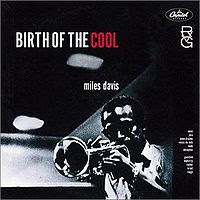 Widely considered as one of the most influential musicians of the 20th century, Miles Davis and his groups were at the forefront of several major developments in jazz music including cool jazz, hard bop, free jazz and fusion. Many well-known jazz musicians made their names as members of Davis' ensembles including John Coltrane, Herbie Hancock, Bill Evans, Wayne Shorter, Chick Corea, John McLaughlin, Cannonball Adderley, Gerry Mulligan, Tony Williams, George Coleman, J.J. Johnson, Keith Jarrett and Kenny Garrett. 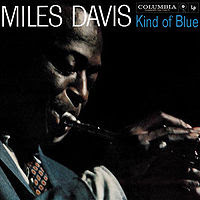 His album "Kind of Blue", released in 1959, is the best-selling jazz album of all time. By the way, "Heaven" is also the name of Bucky lasek backyard pool.